-- Fifteen-year-old Brittney Ryan has taken to the streets. Leitha, her older sister and legal guardian, hires private investigator Nicholas Colt to find her and bring her home. Piece of cake, Colt thinks. With Brittney's forbidden boyfriend's address in hand, he plans to make a surprise visit and put this one in the scrapbook. 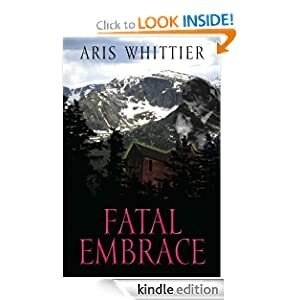 But something more sinister is behind Brittney's disappearance, and Colt soon finds himself in an ever-widening maze of deceit, betrayal, and murder. 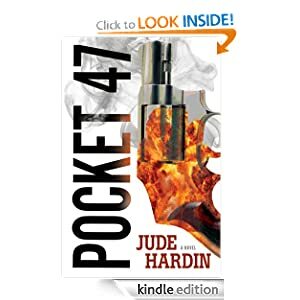 When Colt learns what the mysterious phrase Pocket-47 means, he is haunted even more by the plane crash that killed his family and rock band twenty years ago-a crash he now realizes might not have been an accident. Determined to save Brittney, Colt struggles to untangle the threads of his own tortured past. Unfortunately, one of the most heinous and violent criminals in modern history has other ideas. NOTE: Read for free - sample this book for FREE! -- Things are getting serious between Sophie Mae and Detective Ambrose. But Sophie Mae has a new love in her life—spinning. Pursuing her newfound passion is great fun . 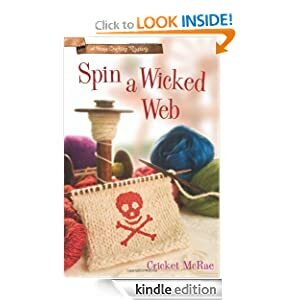 . . until her fellow co-op member, Ariel, is found strangled to death with Sophie Mae's very first skein of yarn. Young and pretty, Ariel used her feminine charms and sexual magnetism to lure married men. Was the murder victim truly a gold digger in hot pants? Or just a troubled girl who met a bad end? With a tangled weave of suspects to wade through and Barr's ex turning up, it's all Sophie Mae can do to unravel this tightly knitted mystery—without coming undone herself! Read for free - sample this book for FREE! -- High-spirited horse trainer Jessica Stanson stumbles into the perfect job on one of the most elite ranches in Montana. Or at least it would be if her boss, ex-detective Michael Carven, stopped acting like he didn't want her there. Jessica has to prove herself to him on the ranch, and also try to penetrate his armor to get to the man inside. Michael Carven is a man who has left a difficult past behind him, and now works at his dream job raising horses under the Montana sky. But he knows that the past has a way of coming back to him, and soon enough, it does. A wave of violence hits the nearby small town of Riverside, nestled deep in the mountains, as a cunning serial killer preys on the population. Against his will, Michael finds himself both drawn into the case and coming to care for his independent new trainer. And if having a killer on the loose wasn't enough, his two worlds collide when Jessica becomes the only material witness in the case. Before it is over, Michael and Jessica will put everything they know and hold dear on the line to catch a vicious, cunning killer - and to protect each other as well. -- Early one May, Sam Neumann arrived in the breathtaking wilderness of Denali, Alaska with a smile on his face and adventure in his heart. But less than 24 hours later, both had evaporated as he stood behind the counter of a filthy gas station—his new place of employment—and tried to piece together what exactly had gone wrong. 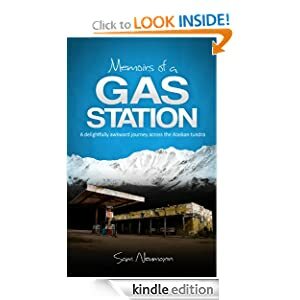 MEMOIRS OF A GAS STATION is a quirky personal account of a summer trapped in a convenience store on the edge of Denali National Park. It is a journey across the Alaskan tundra and headlong into the ridiculous world of seasonal employment. The summer began with shock, horror, and denim shirts as Sam struggled to accept his new role as a gas station employee. To escape it, he took to the forests of Denali at every free moment, soon finding himself face-to-face with an angry adult moose, shivering numb trying to last the night on a frigid mountainside, and being seduced by a Mormon divorcee. 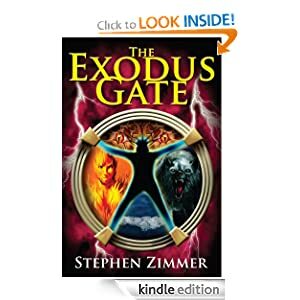 -- The Exodus Gate is the first book of a sweeping, epic-scale urban fantasy series with dystopian and apocalyptic themes from the imagination of Stephen Zimmer. The Rising Dawn Saga begins with a prologue that calls to mind the imagery of Milton's Paradise Lost, and then introduces Benedict Darwin, the host of a popular late night radio show dealing with the paranormal and the things of myth, legend, and conspiracy. Benedict comes into possession of a virtual reality simulator that turns out to be something far greater, and far more dangerous than he ever expected. Supernatural powers from the Abyss are aiding humans at the heights of political and economic power in a centuries-old movement called The Convergence. It is focused on bringing the world under one political and economic authority, one that erases borders between nations and governs all populations across the world. A tale of courage, hope, and adventure, with fantastical realms and exotic characters, The Exodus Gate is a unique story that blends fantasy, science fiction, the paranormal, horror, and military thriller elements into a powerful voice within the realms of urban fantasy. Create a Facebook and Twitter account to get freebies, even if you only use it for that.